Editor's Note: We received this press release after I had already sent the April 3 issue to press, but we have the release is here in full and it will be in next week's issue iwth any updates we may receive. The Elmore County Sheriff’s Office has been involved in a major Methamphetamine and Heroin drug trafficking case which has resulted in multiple arrests over a 30-day timeframe. On 3-12-2019, Sheriff’s Detectives and Mountain Home Police Officers made several street-level drug arrests. Misty Rice of Mountain Home was arrested for possession of a controlled substance and possession of drug paraphernalia. On 3-12-2019 Sheriff’s Detectives were conducting surveillance at 1642 E. 4th North in Mountain Home. This residence was at the center of this investigation. The surveillance team observed a vehicle at the residence which is frequented by known drug-users. Surveillance teams were able to observe several individuals who were loading unidentified packages from this residence into a vehicle. The vehicle was later stopped for a traffic infraction and a narcotics dog alerted to the presence of possible drugs in the vehicle. A search of the vehicle revealed numerous items associated with narcotics use, possession of a controlled substance and drug trafficking. Dustin Cannon of Garden City was arrested for 2 counts of possession of a controlled substance, possession of drug paraphernalia and introduction of a controlled substance into a correctional facility. Stefanie Foote of Boise was arrested on 3 counts of possession of a controlled substance and drug paraphernalia. Jesse Peirsol of Meridian was arrested on a fugitive warrant. Dustin Cannon was later charged with unlawful possession of a firearm in addition to his other charges. In the early evening hours on 3-12-2019, Sheriff’s Detectives, Elmore County Special Response Team (SRT) and members of the MHPD SWAT Team executed a search warrant on the residence at 1642 East 4th North Mountain Home, Idaho. The search of the residence, detectives located black tar Heroin, Methamphetamine, Firearms and Paraphernalia. Raymond Jones of Modesto, California who recently relocated to Mountain Home, Idaho, was arrested on charges of drug trafficking, possession of a controlled substance and unlawful possession of a firearm. A female by the name of Haley Graves, who is also a resident of California and is believed to have traveled here with Jones was arrested and charged with drug trafficking in methamphetamine. From this investigation, Raymond Jones is believed to have been the ring-leader and major drug dealer of methamphetamine and heroin in Elmore and surrounding counties. On 3-19-2019, Elmore County Sheriff’s Detectives continued the investigation into the drug trafficking ring. Detectives conducted interviews and gathered further intelligence which resulted in an additional search warrant. 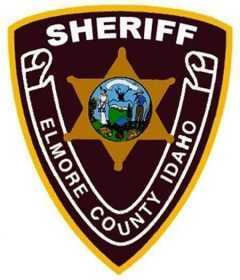 The warrant was executed at 1035 East 9th South Mountain Home, Idaho by Elmore County and MHPD Detectives. That search warrant yielded black tar heroin and drug paraphernalia. There is strong evidence connecting the two residences. Mountain Home resident Brieanna Willis was arrested and charged with Conspiracy Possession of Controlled Substance, Conspiracy to Deliver a Controlled Substance and Felony Injury to a Child. The child was turned over to the custody of family members. On 3-21-2019, Officers from the Mountain Home Police Officers observed 2 suspicious individuals entering the residence which had previously been searched at 935 East 9th South Mountain Home, Idaho. Officers conducted a traffic stop on the vehicle and a narcotics dog alerted to the presence of drugs. Ashley Rowland of Boise was arrested on charges of operating a motor vehicle while intoxicated. Further investigation resulted in Kevin L Houston II from California being arrested on 2 charges of drug trafficking in methamphetamine and heroin and introduction of a controlled substance into a correctional facility. On 3-22-2019, The Elmore County Special Response Team (SRT), MHPD SWAT members and Elmore County Detectives executed a search warrant at 2395 American Legion Boulevard, in Mountain Home. That search yielded evidence of drug trafficking, drug paraphernalia and money believed to have been exchanged for methamphetamine. George Guajardo was arrested on charges of delivery of a controlled substance. Carlos Maldonado was arrested on charges of possession of drug paraphernalia. As this investigation is on-going, other arrests have included Christopher Frampton of Mountain Home on charges of conspiracy to deliver a controlled substance and Bryan Riggs of Mountain Home on charges of 2 counts of conspiracy to possess a controlled substance and possession of heroin. This has been a very long and ongoing investigation; the Sheriff’s Office is continuing to interview additional subjects and is seeking more suspects. This investigation has yielded an undisclosed amount of money, firearms and vehicles. Public efforts in reporting suspicious behavior have also played a vital role in this investigation. This will continue as an on-going investigation. No further information at this time.